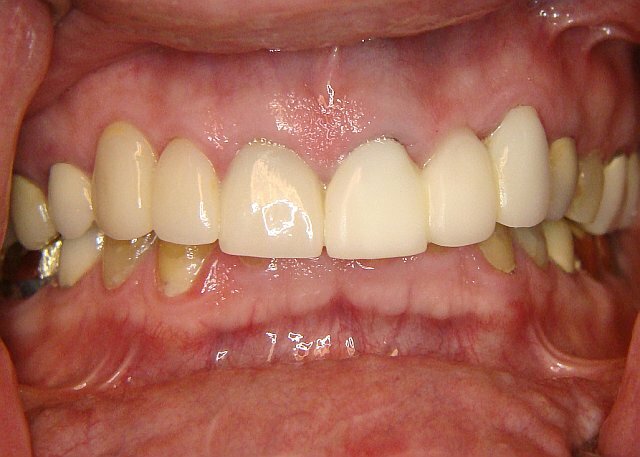 This 40-something patient came in with severely worn down lower teeth. 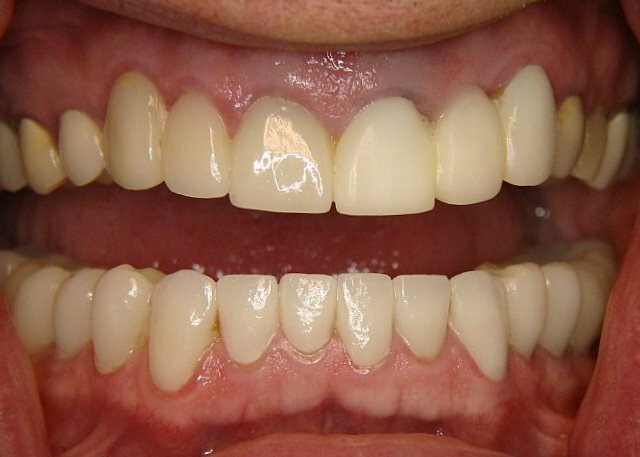 To correct his deep-bite, the optimal increase of his vertical dimension is determined to be about 3mm. 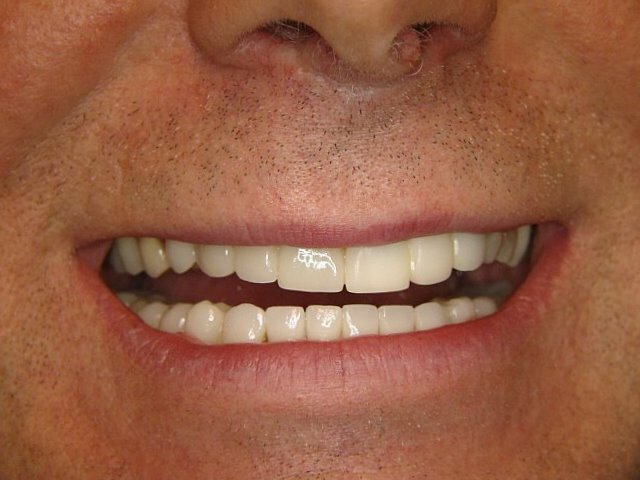 8 porcelain crowns and 6 porcelain veneers were constructed on his lower jaw. 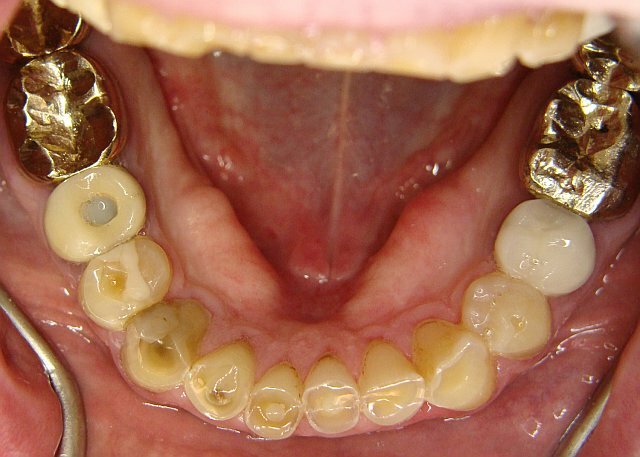 At the end of the treatment, the patient is thrilled with his new smile!